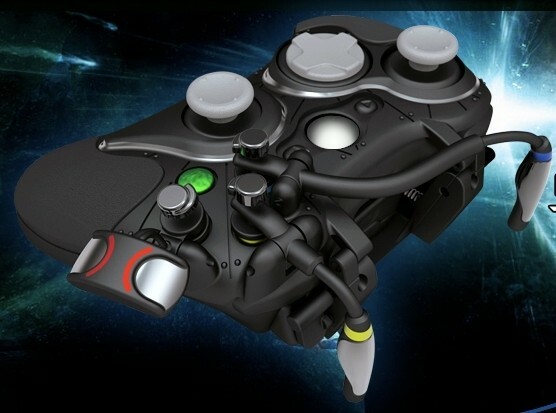 This is the N-Control Avenger, what does it do? It makes your 360 controller look like something from outer space, also it’s supposed to make it easier to play. You’ll also apparently gain a split-second advantage over opponents on the draw since the contraption constantly applies tension to each of the controller’s triggers, making them easier to press. For $60, the Avenger even comes with a tripod, which could be a good move on the company’s part — it looks like you might need one to hold the it up.